Smile Cliniq provides one of the best services of teeth whitening London has to offer that residents have come to rely on. A consistent factor in the deterioration of oral health in general, as well as oral appearance, is stress. Stress is at the root of many physical and mental ailments, but its large role in a wide variety of dental problems is often ignored. Three of the most common oral problems associated with stress are halitosis (bad breath), gum disease, and mouth ulcers. Here's how stress plays its part in them. Bad breath is nothing uncommon – it has been estimated that up to half the population suffers from it. In short, stress plays its part by initiating the “fight or flight” response from your body. When you encounter difficulty, your body basically closes down certain “non-essential” processes in order to give you the energy necessary to make it through. So, what's that got to do with bad breath? One of those “non-essential” processes that gets shut down is saliva production. Saliva plays a large part in suppressing the unpleasant smelling gasses from mouth-bacteria. A dry mouth means rather than being swallowed away never to be smelled, they're released outward. Dry mouths also become more susceptible to encouraging bad-smelling bacteria to stick to the dry surfaces. One of the most common signs of gum disease is bleeding gums. It's also one of the most often-ignored signs of any dental problem. It pays to be cautious, however, because gum disease can be a gateway to much more severe issues. In time, it can cause receding gums, and if left totally untreated, it can even contribute heavily towards tooth decay and tooth loss. So, how does stress play such a big part in it? Stress causes gum disease in two key ways. The first is the increased amounts of cortisol which are produced in the body in high-stress situations. It's an anti-inflammatory hormone, however, it also stimulates protein production, which in turn feeds the bad bacteria in the mouth. The second way stress causes gum disease is because it also causes people to neglect their overall oral hygiene. This allows gum disease to take hold. A mouth ulcer is essentially a small sore that occurs when the mucous membrane around the mouth deteriorates. Stress can play its part in a variety of ways. The propensity to nervously grind teeth can cause sharp edges in the enamel, which may cause cuts that can develop into mouth ulcers. Similarly, a lack of oral hygiene caused by preoccupation with stress can also cause them. 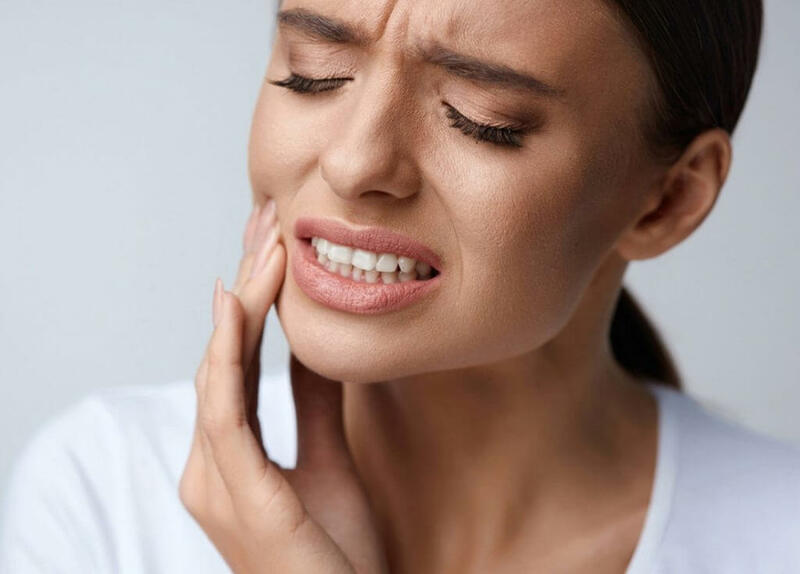 Again, a dry mouth can help to encourage mouth ulcers because the thin mucous membrane dries out and becomes more prone to cracking or being damaged by sharp, crunchy food. If you comfort-eat crisps, for example. Stress can also suppress the immune system, which reduces the ability of the body to effectively fight any bacteria that may infect the open sore.